I started my "career" as an intern for Enterprise Rent-A-Car. That summer washing cars while wearing heels and hose (pantyhose that is) left a mark. I not only had to deal with people who were having a hard time (dealing with car accidents and insurance and all of the administrative headaches is a pain), but they were often not there because they wanted to be. I remember wishing I had been put at the airport location, not my suburban local next to the car repair places. One of the things I learned quickly was that I don't have patience for people who don't follow the rules or read directions. I remember people expecting me to let them drive a car off the lot without collecting a credit card or a driver's license number, because "they paid good money for insurance that was supposed to cover all of it." This is one of the reasons that upon the internship conclusion, I didn't seek a full-time job with Enterprise. But you know what makes a difference to great organizations, especially startups? It's service. People who can serve their customers with a smile, no matter how ridiculous request, are going to make or break your organization. 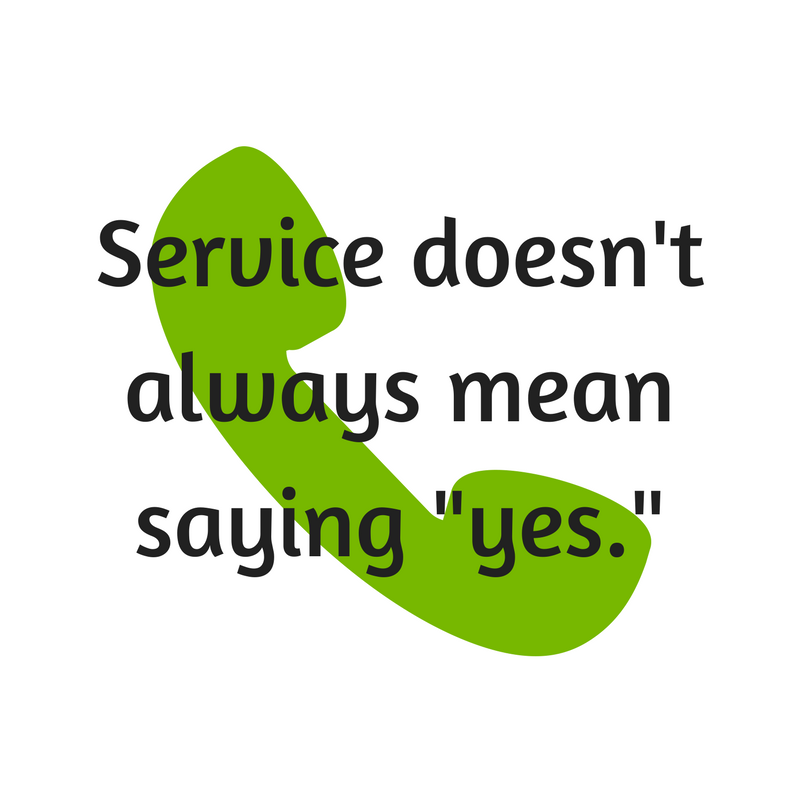 I would like to make a VERY LARGE POINT here that "service" doesn't always mean saying "yes." Service means actually serving your customer. Making them better at what they do. It may mean saying to a customer "you know what, we aren't going to be a good fit for you anymore." It could mean patiently educating a customer on the fact that the way they are tracking their marketing effectiveness isn't going to help them move the revenue needle, so maybe there are other metrics to consider. I was reminded of this tidbit when I went to buy ski boots last weekend. I walked to this well known local shop that specializes in backcountry gear. I knew they were having a sale on boots and I wanted to see if they had a pair in my size. I ended up having a 20 minute conversation and fitting with Ed, their bootfitter. And you know what happened? I didn't buy boots. You know where I will buy all my outdoor gear from here on out? From Ed at Pine Mountain. You know why? Because his service level was unparalleled. He took the time to explain my options. He told me where to find boots in town. Great service is now the first thing I think of when I think of Pine Mountain sports in Bend. Educate them on CLV: a customer's lifetime value is important for everyone to understand but especially the service teams. They will have a better understanding of the "value" of the customer if they understand the "cost." Pay them well: these folks have the power to make or break your startup, and they have to put up with some crazy stuff, especially since you might be a super early MVP kind of startup. Account for that in pay. Make sure they know they are valued. Reward them for making the right decision for the business: in addition to base pay, consider MBOs that map to corporate goals around CLV and quality client retention. Empower them to make decisions about their clients and their service levels: Nordstrom and Zappos to a great job of this. Give your front line managers, the ones that deal with customers the most the power to really impress the customer if necessary or appropriate. Look for good listeners who are better discerners: It's important to listen in client services. It helps when the person at the other end of the line at least pretends to care, and the only way to at least fake caring is to start by listening. But, what your company will really benefit from is someone who can discern what the client is really upset about and help the client learn or help the company cut the cord. What's your experience been with service? How important is it for startups to focus on service above all else?